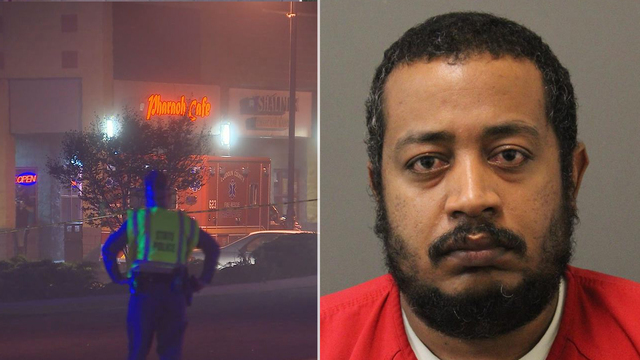 STERLING, Va. - Police have arrested a man they say shot and killed two people inside a cafe in Loudoun County. The double shooting was reported at about 1:45 a.m. inside Pharaoh Cafe located at 46000 Old Ox Rd. in Sterling. Investigators have charged 34-year-old Hassan M. Gailani with two counts of first-degree murder and one count of use of a firearm during the commission of a felony. Police say Gailani was detained by deputies after attempting to flee the scene in a vehicle. He was being held without bond. The victims were identified as 35-year-old Ahmed Osman of Sterling and 40-year-old Murtada Marof of Herndon. A motive for the shooting has not been determined at this point.